Justin Timberlake has pulled some sunshine from his pocket for the patients at a Texas children’s hospital. 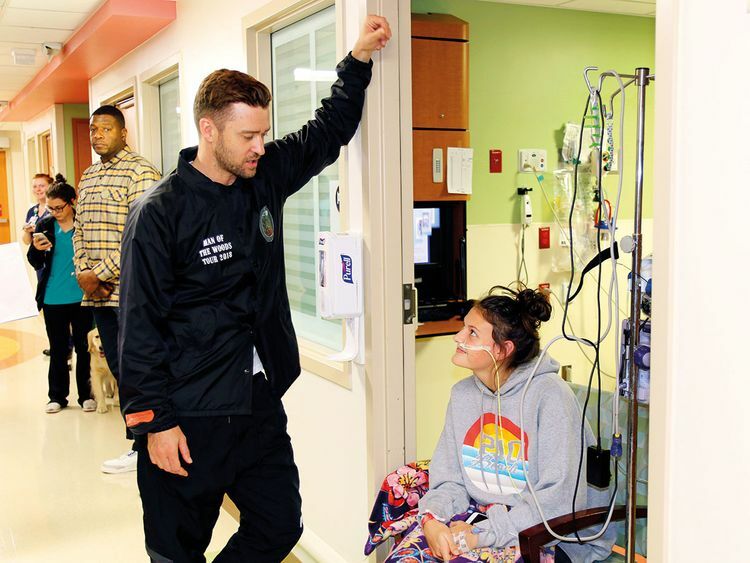 Timberlake took a break from his ‘Man of the Woods’ tour to pop in and pose for pictures with the young patients at HCA Healthcare’s Methodist Children’s Hospital in San Antonio. A video of the kids was widely shared all week, with many in their hospital beds as they danced to Timberlake’s hit ‘Can’t Stop The Feeling’ with its refrain of “got some sunshine in my pocket.” The kids held up signs that read ‘JT See me!’ and on Friday afternoon JT obliged.